1 Are Pressure Washers Louder Than Normal Appliances? 2 Can You Make A Pressure Washer Lower Its Volume? 3 Does Brand Make A Difference? The heavy duty mechanics of a pressure washer pushes the machine to be louder than other appliances. But it makes up for that loudness by being an absolute workhorse when needed. Improvements in the design and mechanics has led to a lot of buyers choosing their products carefully based on noise levels. Even if you don’t need a pressure washer to have low noise, there are major benefits to having one around. Are Pressure Washers Louder Than Normal Appliances? In short, yes. But the long answer is a little more complicated. Any old appliance with worn parts will be louder than normal. This is the way it is, even when you get regular maintenance checkups. The best comparison comes when you stick to new products only. Since a pressure washer for patios has a motor, it is easy to identify what appliances equal its decibel level. For instance, a Ninja blender would be considered the minimal level while a motorcycle revving would be the maximum. Somewhere between those two items is where you can expect to find modern pressure washers, so not bad at all unless you’re constantly exposed to it. So in general, a pressure washer is louder than anything else in the home, even that gentle start of an air conditioner which can sound like thunder in some homes. To find a sound that is closer to what a pressure washer sounds like at medium/maximum volume, you have to go outside and listing to a motorcycle revving. Even a lawnmower would be a better representative of the max loudness of a pressure washer. Either way, you won’t be falling asleep in peace if someone is operating a pressure washer nearby. 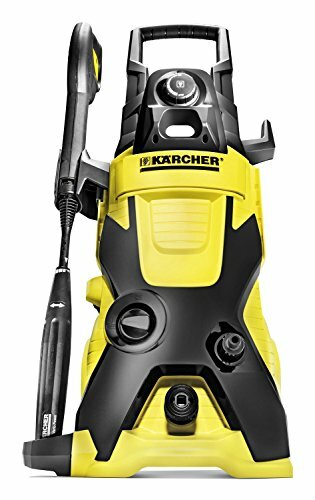 Can You Make A Pressure Washer Lower Its Volume? The high decibels coming from a pressure washer can disrupt the air in a quiet day, almost immediately. No one buys a pressure washer and expects to nurse a baby to sleep while it is on. Consumers that live in generally quiet neighborhoods may feel out of place cranking up the pressure washer on an otherwise peaceful morning or afternoon. When Outside The House – Using an electric pressure washer is preferable, but you have to go further than that. Being mindful about other devices that are running simultaneously goes a long way in ‘masking’ the noise of the pressure washer. It may not be the most convenient way of looking at it, but not running multiple motor based devices together at once will keep the overall volume acceptable. A slight buzzing from the pressure washer outside is harmless when it isn’t paired with a lawnmower. When Inside – This is the best case scenario although it isn’t the most common. It gets even better if your garage is separate from the house or any of its main living areas. Homes that have garages leading directly to the kitchen are great, and keeps the noise away from areas where people are relaxing. Using a pressure washer in the garage limits what you can do, but it also keeps the volume contained in that area while you clean the floors or your vehicles. Gas or electric pressure washers such as Karcher K4 will do just fine in this setting, with no preference for either. If your garage is close to the living area of the house where the noise can penetrate, then try a cheap soundproofing solution to lessen the noise. Putting towels underneath the door is one way, while other proven DIY solutions are more complex but cost less than $10 to complete fully. Does Brand Make A Difference? Brand makes a huge difference when it comes to the noise factor and the cost of the pressure washer itself. Complaints about the amount of noise pressure washers make while running has always been a concern. Over the years there have been a lot of refinements to the design and mechanics of the products to make sure they are less noisy. The first major refinement was developing electronic pressure washers. They were a major step in the right direction, with the biggest improvement leading to less noise. Electronic pressure washers are still developed with gas washers and provide a lot of great features. Because of this, brands will often use compatible features with both types. So continued innovation in one type leads to modernization on all fronts. For a more specific look into how brands make a difference, proprietary technologies like quiet sense paints a pretty picture. 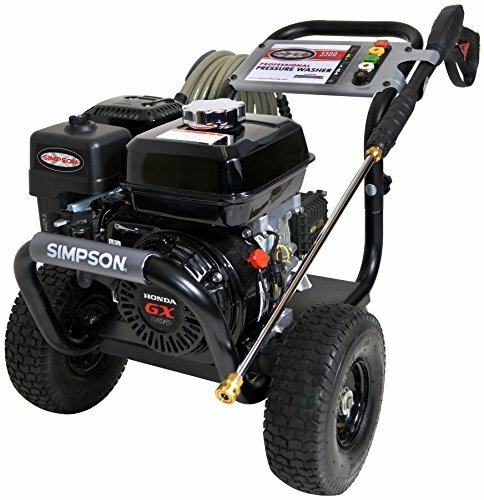 It’s available from Briggs & Stratton brand pressure washers and is forty percent quieter than a regular pressure washer. This is an automated feature that works as advertised, making it much easier to use the device during the day. Consumers will be able to pick from a variety of different noise lessening technologies. But it all comes down to the brand they choose, and how far along the company has matured in the technology. This is still one of the most important parts of the buying process since it determines when and where you can use the pressure washer. A loud pressure washer can damage your ears if you are exposed to the sound constantly. Getting hearing damage from a pressure washer is a lot different than getting it from firing a gun. When firing a gun, the loud pop traumatizes the ear drums. With pressure washers, it is the sustained loud noise that causes problems. If you don’t tend to work around them often, then they pose no threat to your hearing. But working with them for hours will be an issue, and this is exactly why you should be prepared. Wearing Earplugs – This is standard for any piece of work equipment with a motor. You don’t need anything fancy, just something simple that goes in your ear canal and stops the noise from having direct access. For the consumer that doesn’t feel like leaving the house to buy earplugs, earmuffs or cotton balls will also do the trick. Taking Breaks – The loud sounds of a pressure washer is only a danger to your hearing during extended periods of use. So take breaks when needed to give your ears (and brain) a rest. Not only will it make a huge difference to your health, but it will also give the device a rest when needed. Both products are a good choice for everyday pressure washing, yet electric pressure washers are the clear winner if your priority is noise suppression. The lack of emissions and smoother mechanics in the device makes it a solid choice for inside and outside work. The tradeoff of having less noise is a considerable lack of power for heavier jobs. So choose wisely between the two, even if low noise is your priority. There is no point having a small noise footprint if the electric pressure washer can’t do the job you bought it for. Sometimes it is better to have a high powered gas device despite the extra noise it creates in the area. Pressures washers pack a considerable amount of noise in normal everyday situations. Thankfully, you can make things better with a few smart buying and situational decisions. With the right setup, your pressure washer will no longer be a noise problem. Check out our review for famous branded tools such as paint sprayers on our website.